I find that I take so much of life for granted. God has truly blessed me with so much and yet I don’t think I truly thank Him for all He provides. The daily sustenance you provide me when so many in the world go without. The warm roof and comfortable furnishings you provide. To be able to shower anytime I desire and even brush my teeth when others have no clean water at all. The more than ample amount of clothes I have hanging in my closet when others just have the tattered clothes on their backs. The providing doctors and medicine that sustain and improve my life when others can’t even afford an aspirin. The telephone and computer so I can communicate with loved ones. My husband’s employment when so many are unemployed. For my sister who in last year has become my best friend despite the 2200 miles that separate us. 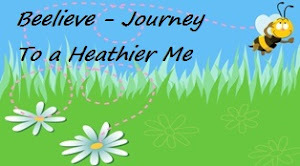 For my precious daughter, Heather who chauffeurs her mother to the store and doctors. For my 14 year old grandson who loves me unconditionally and actually enjoys spending time with his crazy grandma! For my passionate, forgiving, generous, unfailing, unwavering, wise, compassionate husband who loves me unconditionally. Most of all, I am thankful for the Lord’s saving grace, faithful care, and enduring love. Beautiful prayer from a thankful heart, my friend! Praise God for your thankful heart. A beautiful prayer straight from your heart. Happy TT! Bless you my grateful friend, love you. Michele, that is such a beautiful list! I am thankful for so many little (YET VERY BIG) things like clothes, heat, tooth paste, towels -- things we would miss if we didn't have access. We are so blessed. I LOVE how you prayer to our Father. It always brings tears to my eyes. I enter into His presence through your prayers of worship to Him beloved...thank you. Love your list...you have definitely been blessed and have much to be thankful for! I felt your heart in this post. He Loves us so much and all he asks is for us to Love him and to Love others. Sounds simple enough don't ya think? Have a blessed weekend my friend and Happy Valentines Day! I wrote one today as well, I pray you have time to come by. Your prayer is beautiful, sounds like you have a wonderful grandson! I smiled at the "being able to take a shower" that was on your list. I am so grateful for that so often. Ever since reading The Hiding Place and Corrie Ten Boom talked about how when she got out warm water for a bath was such a luxury...I can't help but think on it every time I sigh and let the warm water run down on me. Blessings to you this day! Praising God for your wonderful blessings and the love and faith you have in Him! Happy Thankful Thursday! Hi Michele, This is such a sweet list. You have so many blessings in your life and family. I find no where in God's Word where we cannot thank Him for the superficial and insignificant things that make our lives full and easy. Sniff, Sniff. Make me cry! I love you, too!